You go to a John Fogerty concert for a) that voice; b) his guitar playing; c) those incredibly descriptive song lyrics; d) the experience of hearing him perform all those hits. The answer is, of course, e) all of the above. 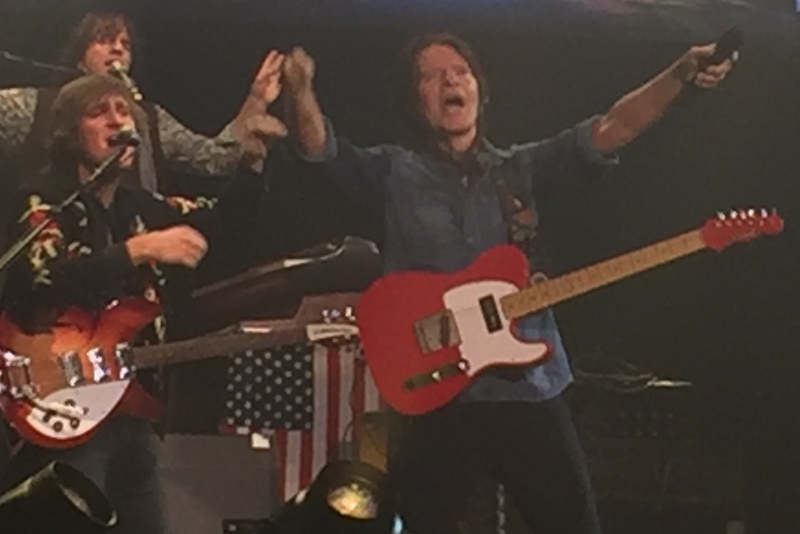 The classic rock legend delivered all that and more at a benefit performance at Englewood, NJ’s Bergen PAC on November 7, 2018. The itinerary worked out well: he had performed at BluesFest in London and was making his way back home. 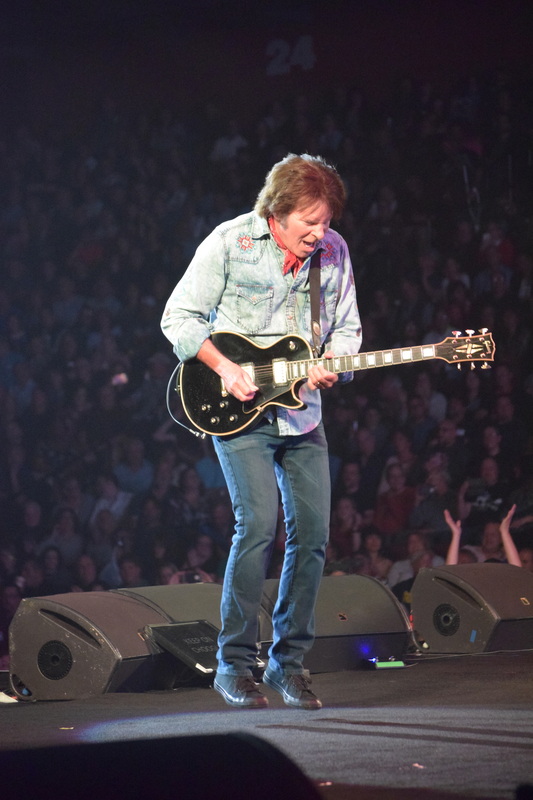 Fogerty began with six straight CCR songs, starting with “Travelin’ Band” and “Green River,” followed by “Hey Tonight” (which saw him energetically running around the stage) and “Up Around the Bend,” earning him his first of several standing ovations from the audience of this New York City suburb. “Lookin’ Out My Back Door,” of course, features Fogerty’s marvelous lyrics (e.g., tambourines and elephants are playin’ in the band). Shane – the spitting image of his father – performed the song’s skiffle at the end, earning a fist pump from dad. Nearly halfway through, Fogerty said: “I’ve been in the right place at the right time, many times in my life. One was when I was 12 and met Pete Seeger. Everybody was into folk music at the time  and at the top of the mountain was Pete Seeger. When I met him, he told me about this song,” as he launched into a spirited version of “The Midnight Special,” one of the evening’s highlights. The classic tracks continued: a blues-y “Long as I Can See the Light,” a bone-chilling “I Heard It Through the Grapevine,” with that heavy bass line (courtesy of the band’s James Lomenzo), a solid guitar solo and a brilliant, extended solo from keyboardist Bob Malone. Don’t miss his 50th anniversary celebration – with all those hits – in 2019. Tickets are available here and here. Seen Fogerty last week, all is I can say is he should call it a career. Some songs we’re okay but some we’re just not John. Seen him several times and this was definitely the worst.